The Snowdon Mountain railway takes you up the majestic Snowdon mountain dominating the glorious, ancient landscape of North Wales. At 3,560ft (1,085m) it is a true mountain and a place of legend – said to be the burial place of the giant ogre Rhita, vanquished by King Arthur. Some believe that Arthur’s Knights still sleep beneath. 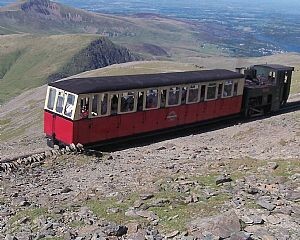 Since 1896 Snowdon Mountain Railway has been welcoming visitors to the little village at the foot of Snowdon, Llanberis in the heart of the Snowdonia National Park, to experience the awe inspiring journey by rack railway to the summit of Snowdon the highest mountain in Wales and England. From the moment you leave the station your train will begin the journey upwards to the clouds, a journey experienced by some 12 million intrepid travellers since 1896. If you are lucky enough to have tickets on the “Snowdon Lily” your carriage will be pushed by one of our original 1896 steam locomotives and you will immediately begin to hear the noble engine exerting its effort as you climb upwards and on towards the roof of the principality. From the first glimpse of the waterfall in Llanberis to the point at which your train crests the mountain 60 minutes later you will have been surrounded by the views and the experience that is Eryri , the land of the Eagles. Why not stay at Bryn Bella Guest House when you go up Snowdon, with jaw dropping panoramic views overlooking Betws-y-Coed and the Gwydir Forest, Snowdonia. 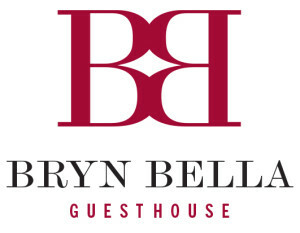 Bryn Bella Guest House is your ideal base to explore Snowdonia. Passionately run by Joan and Mark who offer a fresh approach to their work in so many respects. You will find the B and B accommodation modern and comfortable.